Webby Giants offers a complete set of eCommerce development services, comprising of strategic approaches, integration, migration of services and most particularly, As a resulting building blocks of an online store. At Webby Giants, we provide 24/7 maintenance and support, to keep your website updated for business and generates huge amount of ROI regularly. 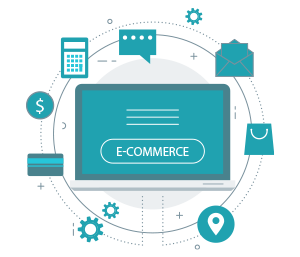 Our eCommerce developers and consultants are always engaged in work to uplift your eCommerce site via utilizing variety of eCommerce development packages and consulting services to furnishes the business needs of our clients. Whether you are seeking to accommodate your B2C website to reach at the climax position or to generate profitable boundaries pertaining to scalable and enterprise level features with a particular focus on customer centric environment and enhances functioning of search engines. Custom & multiple-technology driven engagement sessions.